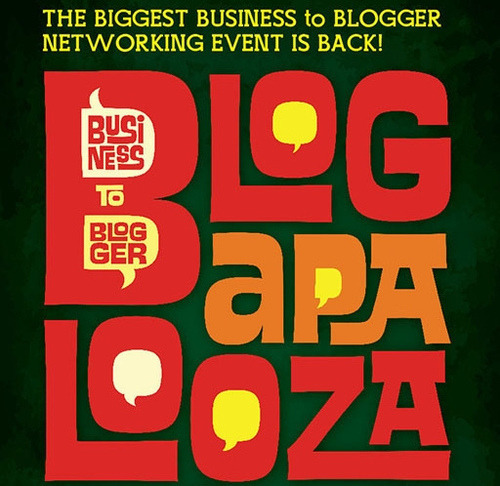 Blogapalooza, now on its 3rd year is the BIGGEST “B2B” (Business to Blogger) event where businesses can meet bloggers who can promote their companies, services, brands and products! It is an event where bloggers can find out about the biggest and latest products and services that businesses has to offer and to share the good news to their loyal readers and followers. More info about Blogapalooza here . It's so cool that I got the chance to see this event and register. 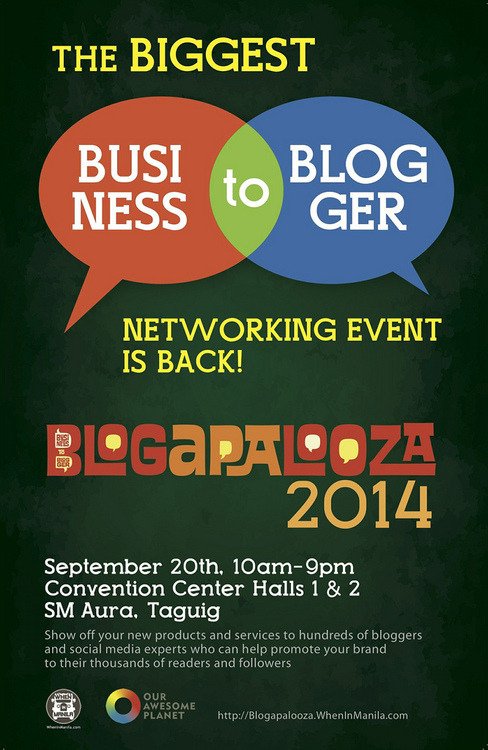 This will be my first Blogapalooza if ever and I want to meet my blogger inspirations there! I'm pretty much excited about this event! Are you? This event is organized by When In Manila and Our Awesome Planet. I wish I can go. But that's a Saturday. Maybe next time and hopefully we can all meet there. Enjoy! Sis Mayette, it's postponed. Would you want to come? I always want to attend blogger events like this one to meet known bloggers but most events conflict with my time. True Daddy Allan. I said yes last Sat since I have a prior event to attend to so I went to Manila. I don't know this time if when and where it will happened. I wish to join events like these too, kaso malayo nga lang ako.